LARKANA: Speakers at a gathering on Monday paid homage to the towering personality of Asma Jahangir who contributed much towards human rights. The Human Rights Commis­sion of Pakistan (HRCP) Shahdadkot chapter and Sindh Secular Study Forum had jointly organised the progra­mme in Shahdadkot’s lab­our hall to remember the services of the international icon on her first death anniversary. A social activist, Wahab Pandrani, said Asma had been recognised globally for her role in advocating human rights and she had rendered services as a UN special rapporteur in different countries of the world. 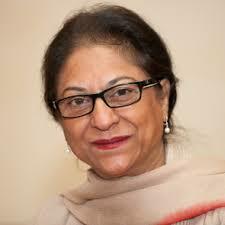 Tracing history, he said it was she [Asma Jahangir] who had fearlessly fought against dictatorial regime of General Zia and she had boldly represented and fought women’s case in those days. Due to that courageous fight, he said Feb 12 was remembered as women’s day. He said it was due to her struggle and role in the HRCP that rights activists had progressive thinking. M. Siddiq Abro of the HRCP called her a twinkling star, saying that she was a source of inspiration for the HRCP workers. Comrade Uris Seelro said had Shah Abdul Latif Bhitai been alive today, he would have sung her in his poetry. She had devoted her entire life to serving human beings and history stood witness to the fact that women had turned out in a good number to attend her funeral, he said. Comrade Qadir Bakhsh Seelro, Dr Mujahid Awan and others also spoke and lauded her services. She had throughout her life never tired of raising voice for the downtrodden, they said.